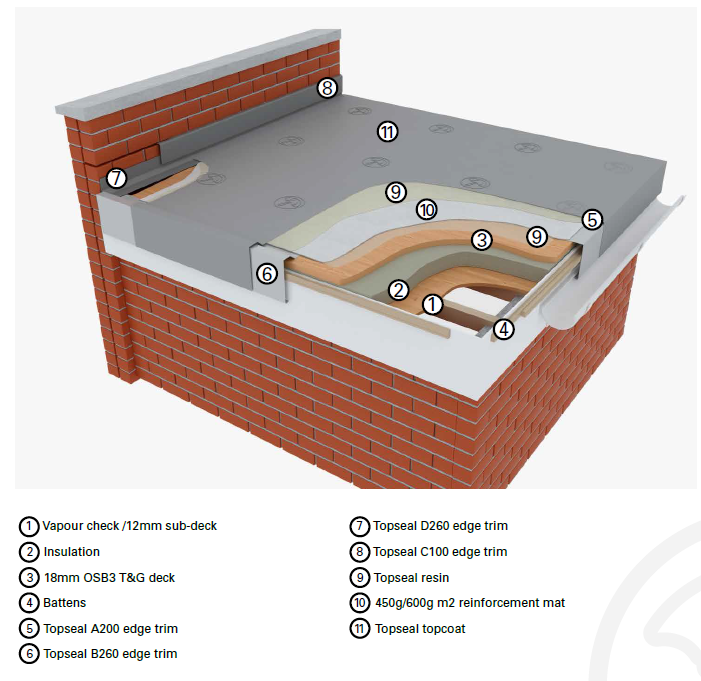 Roofers Edinburgh provides comprehensive flat roofing services. which include not only the traditional roofing systems but also specialised roofing services for domestic as well as commercial roofing projects. At our company, roofers are trained by the manufacturers to install their product. That’s why you can trust us to provide a hassle-free and guaranteed roof installation. with guarantees available of 20,30 and 40years there is currently no roofing product with a longer guarantees issued. 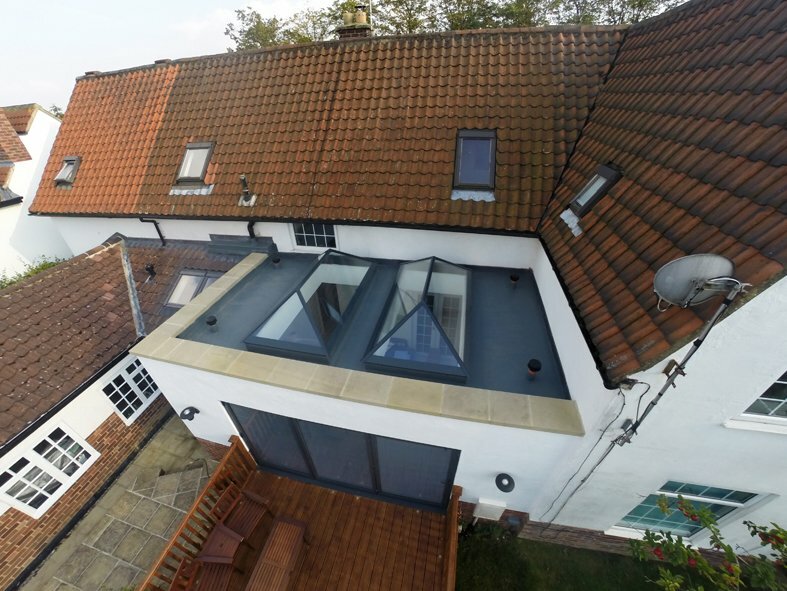 We at MGF Roofers Edinburgh promote the most advanced and modern roofing systems. 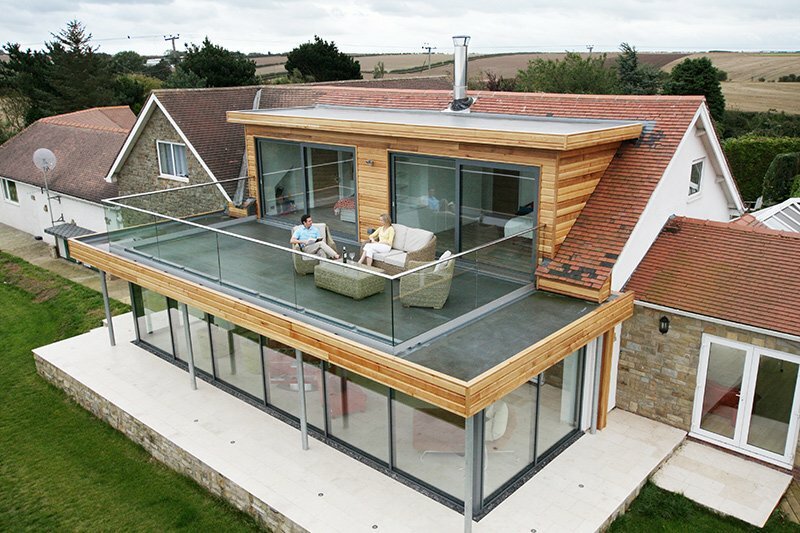 Topseal GRP roofing system has an excellent standard and is suitable for both domestic and commercial properties. 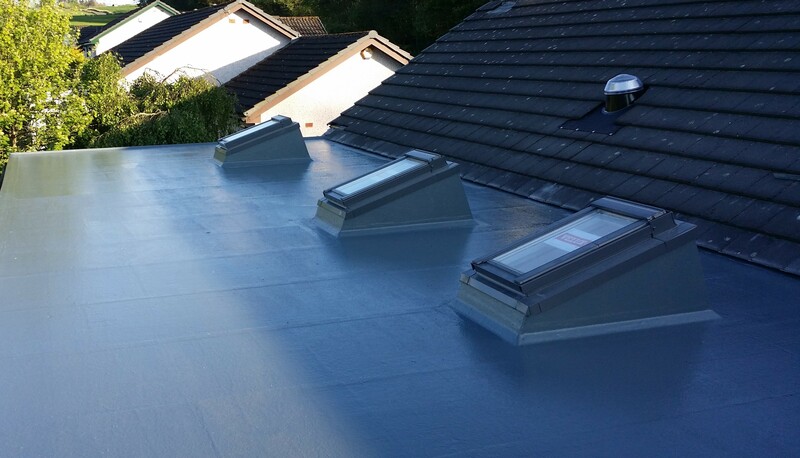 Topseal GRP roofing system is known as fibreglass and is a superb choice for modern or heritage roofs.We are proud to be a Topseal ‘Approved Installer’ for both for small repair work or entirely new roofing installations. At MGF Roofers Edinburgh we travel across the region to provide the best roofing services. Topseal is an extremely versatile and durable product; the company expects Topseal products to last 100 years easily. They are also BBA certified and with Topseal, our belief in providing you with the highest quality material is accomplished. Easily installed with roof lights, roof windows and solar panels. Installation at any angle of a pitch from horizontal to vertical and can be shaped for gullies and gutters. zero scrap value makes it an ideal candidate to replace lead or copper on a listed building. available it huge verity of colours and can be colour matched. Extremely durable material and can be coated with a non-slip surface which can be used in areas which have high foot traffic like balconies & walkways. 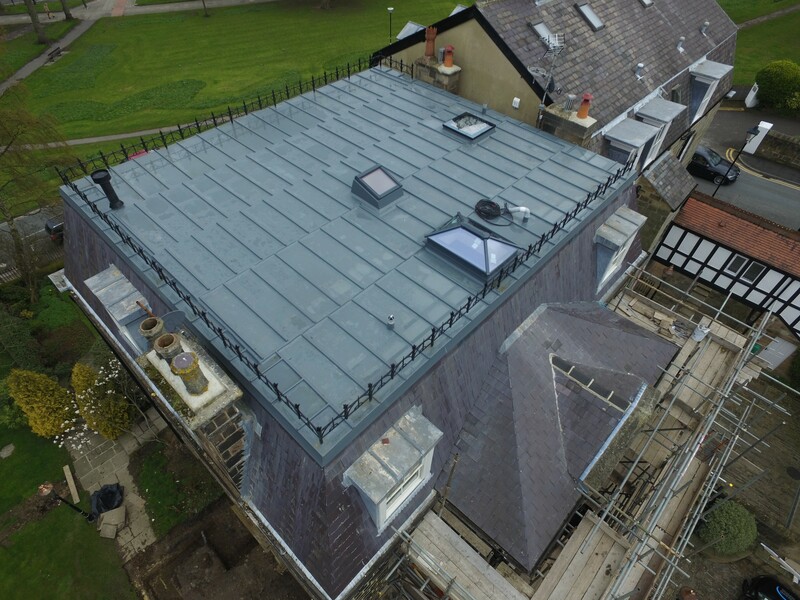 MGF Roofers in Edinburgh are known for our commitment towards the use of high-quality materials and personnel. This explains our choice of Topseal roofing materials because only the best materials allow us to provide a consistently excellent service! To find out more about Topseal GRP roof systems get in touch with MGF Roofers Edinburgh today for a free no obligation estimate on any our roofing services.